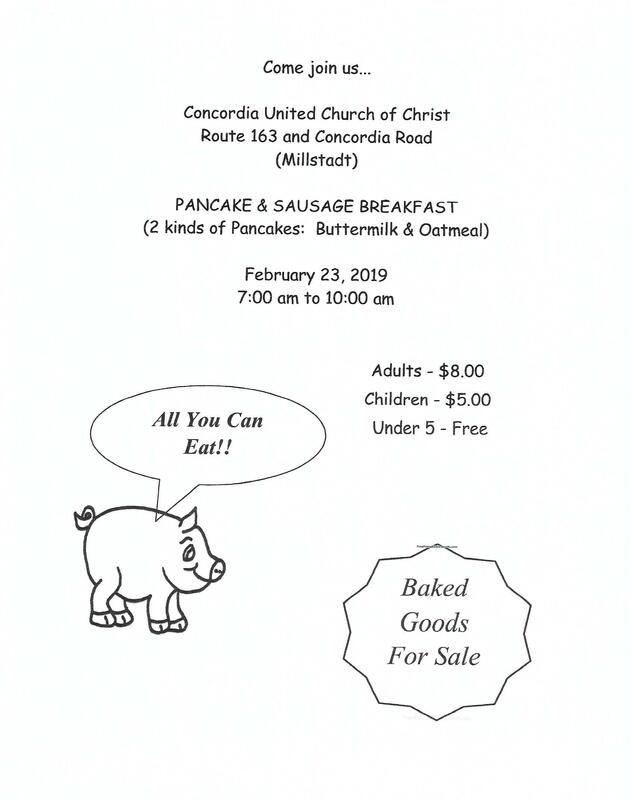 Come join us for the Concordia United Church of Christ Pancake & Sausage Breakfast. All you can eat. Baked goods for sale.